“Star Wars Resistance,” a new animated series that takes place prior to the events of “The Force Awakens,” takes flight with a one-hour premiere SUNDAY, OCTOBER 7 (10:00 p.m. EDT/PDT) on Disney Channel, DisneyNOW and Disney Channel VOD, with subsequent airings on Disney XD. 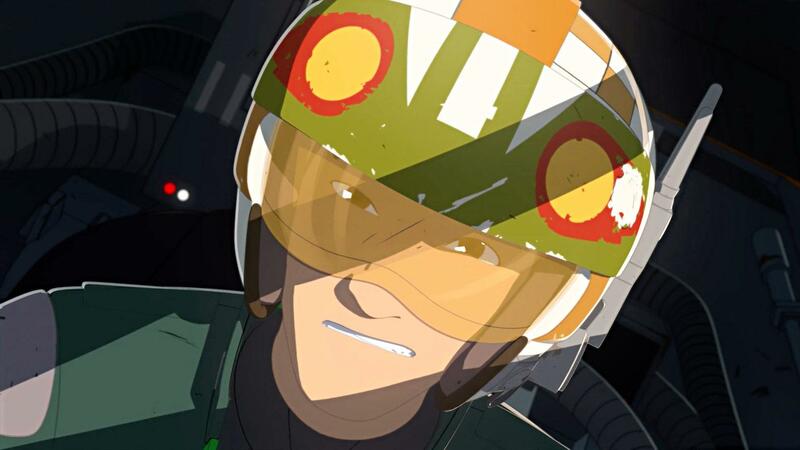 The high-flying adventure series follows Kazuda Xiono (“Kaz”), a young pilot recruited by the Resistance for a top-secret mission to spy on the growing threat of the First Order. 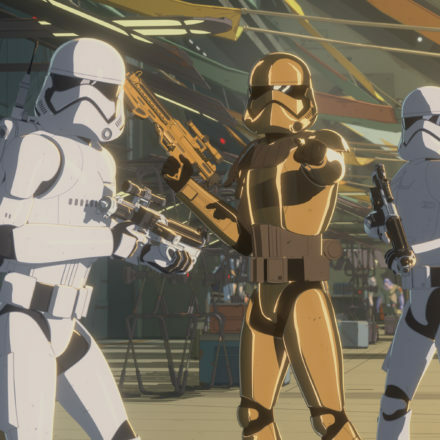 Following its U.S. debut, “Star Wars Resistance” will rollout globally on Disney Channels Worldwide. 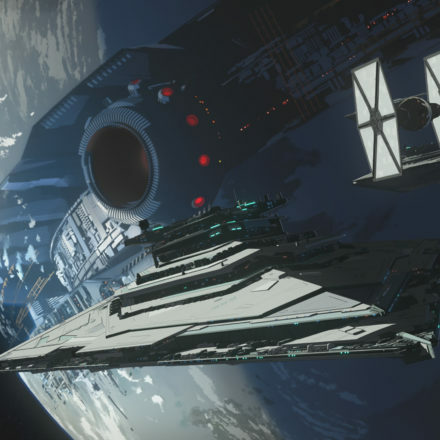 In the one-hour premiere titled “The Recruit,” Poe and BB-8 assign newly-appointed spy Kaz to the Colossus, a massive aircraft re-fueling platform on an outer rim water planet, home to colorful new aliens, droids and creatures. While undercover, Kaz works as a mechanic and lives with Poe’s old friend Yeager — a veteran pilot who operates a starship repair shop run by his crew: Tam, Neeku and their old battered astromech droid, Bucket. Kaz soon finds himself in over his head with his newfound friend BB-8 as he’ll have to compete in dangerous sky races, keep his mission a secret from his newfound family, and avoid the danger of the First Order. The voice cast includes: Christopher Sean (“Days of Our Lives”) as Kazuda Xiono; Suzie McGrath (“East Enders”) as Tam Ryvora; Scott Lawrence (“Legion”) as Jarek Yeager; Myrna Velasco (“Elena of Avalor”) as Torra Doza; Josh Brener (“Silicon Valley”) as Neeku Vozo; Donald Faison (“Scrubs”) as Hype Fazon; Jim Rash (“Community”) and Bobby Moynihan (“DuckTales”) as Flix and Orka, respectively; Oscar Isaac (“Star Wars: The Last Jedi”) as Poe Dameron, Gwendoline Christie (“Game of Thrones”) as Captain Phasma and Rachel Butera (“Tammy’s Tiny Tea Time”) as General Leia Organa. Renowned Lucasfilm Animation veteran Dave Filoni (“Star Wars: The Clone Wars,” “Star Wars Rebels”) created the series; Athena Portillo (“Star Wars: The Clone Wars,” “Star Wars Rebels”), Justin Ridge (“Star Wars: The Clone Wars,” “Star Wars Rebels”) and Brandon Auman (“Teenage Mutant Ninja Turtles”) serve as executive producers; and Amy Beth Christenson (“Star Wars: The Clone Wars,” “Star Wars Rebels”) is art director.